Is there ever anything better than a homemade treat that’s as simple as it is tasty?! 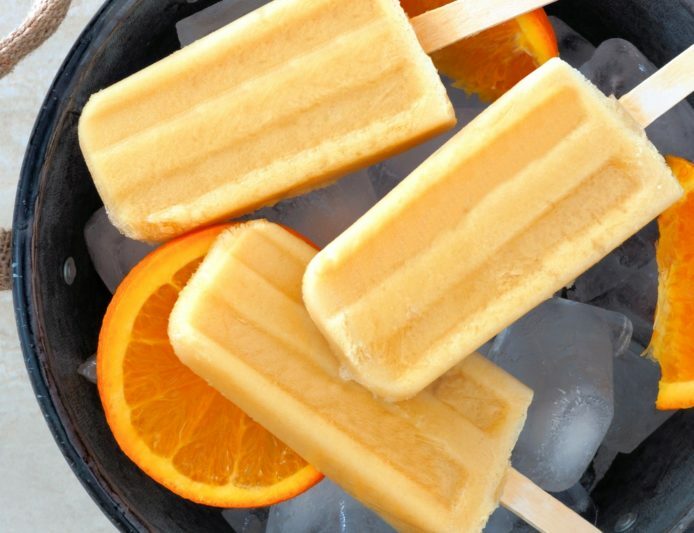 And did you know that National Creamsicle Day happens every year on August 14th? In any case– if you’re looking for a fun excuse to throw a party before the kids go back to school or celebrate the days becoming cooler, or…. (well, you get the picture) look no further than this quick recipe below. Don’t forget the popsicle molds! Mix together cream, sugar, vanilla and orange juice. Pour mixture into popsicle molds or small paper cups. Place in freezer for 10-15 minutes or until mixture begins to firm. Insert sticks and return to freezer for several hours. Use hot water to release from molds. 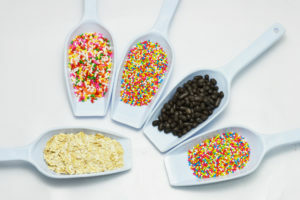 And remember– feel free to get creative with toppings! We suggest adding chocolate or sprinkles for a little extra color. Also, if you’re craving a little crunch, popped rice, cereals or chopped nuts are excellent additions as well. 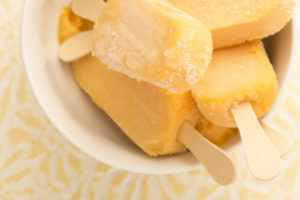 And just in case you felt like sharing a little trivia with your guests, remember to mention that the popsicle was born in 1905 in Oakland, California after 11-year-old, Frank Epperson accidentally left a mixture of soda and water out on the porch. Thanks to the record low temperatures that night, the liquid froze to the spoon and the first popsicle was born.